Looking to give your ideas physical form and get them into the hands of future fans? 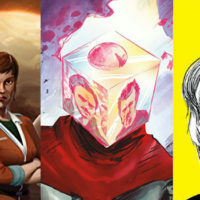 Mark London of Mad Cave Studios shares his hard-earned advice on publishing, promoting and distributing your comics books. 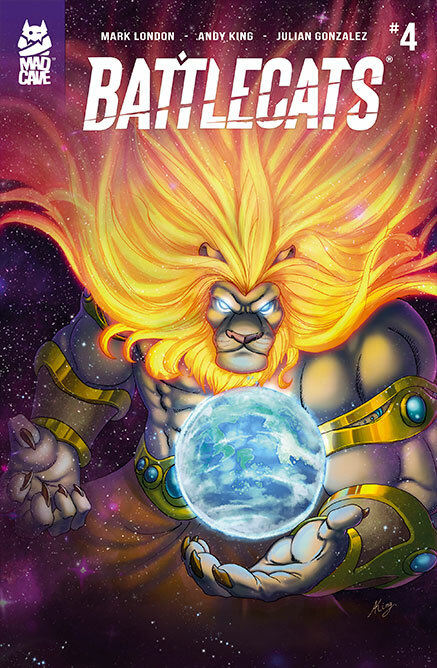 Mad Cave’s series Battlecats, created by Mark with art by Michael Camelo and Julian Gonzalez, is now on its fifth issue. 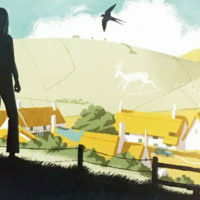 A trade collecting the first five issues, ‘The Hunt for The Dire Beast’, is out July 25th. 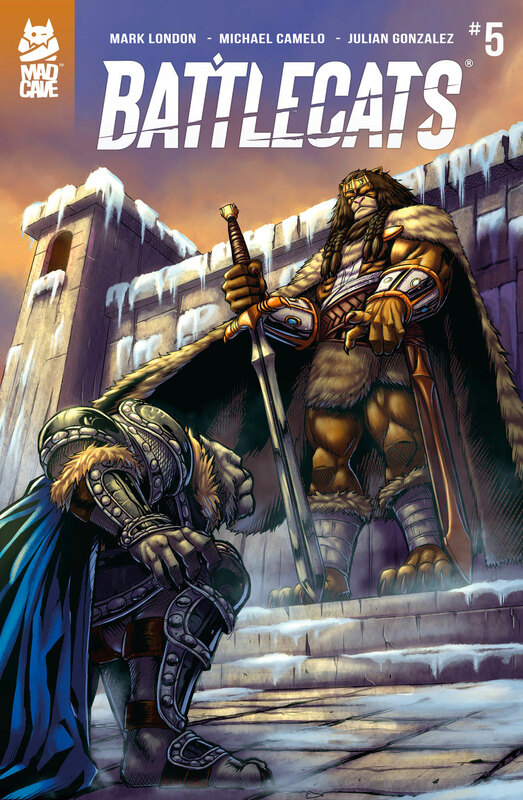 Check out Battlecats and enjoy a free PDF preview at madcavestudios.com/comics/battlecats/. It used to be that if you wanted to break into comics you had to work for the top dogs i.e. Marvel and DC. 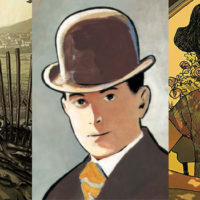 Eventually, the industry began to see the rise of underground comics and other self-published works. While those creators were able to retain creative control, it was very difficult, almost impossible, to be noticed by the mainstream and get into stores. One of the more famous success stories is that of Brian Eastman and Peter Laird. They used their own cash to print approximately 3,000 copies of their own comic book, Teenage Mutant Ninja Turtles. Needless to say, the “heroes in a half-shell” went on to be multimedia sensations and household names. Flash forward 30 years or so and the barrier for entry is significantly lower with the introduction of webcomics and platforms like Comixology and Kickstarter. 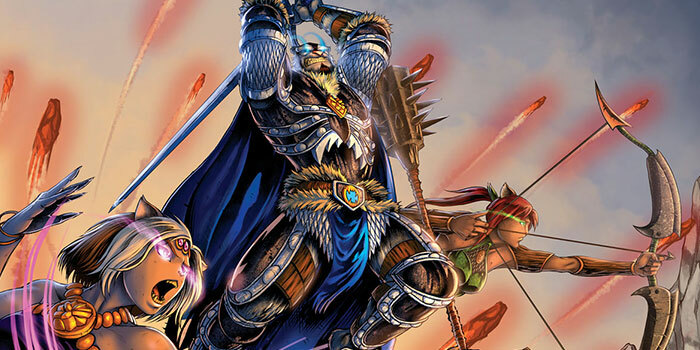 It safe to say comic books, both digital and physical, are here to stay. So, if you are interested in getting down with this trend of self-publishing, through whatever means necessary, let’s discuss a few things you should know before you get started, what to do once your book is complete, and how to make sure it gets out into the world. 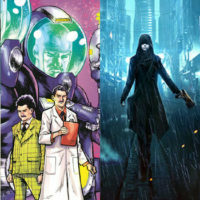 While it’s true if you have the means to self-publish a comic book, you can do create whatever your imagination desires, you should always ask yourself “Who is this book for?” If you don’t know who your target audience is then it can be very difficult to position it in a crowded marketplace. Things like age, gender, demographic, and even geographic location should be taken into account. 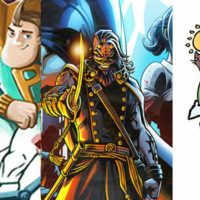 Now, a big obstacle to overcome while gearing up to create your comic book is growing your fanbase and building hype. While it can be tough for new creators to garner attention, you should not let that deter you from putting yourself out there. There is no shame in self-promotion; no one is going to do it for you. A key factor in promotion is social media. Being active on social media will go along way in connecting you with your audience. By providing your audience with things like teasers, panels, and sneak peeks of what you’re working on, you’ll make your fans feel like they are part of the process or like they are on the journey with you. Another thing to consider when growing your fanbase is your website. Along with sites like Tumblr or Deviantart, your website is like your portfolio or business card. Here is where fans can get a feel for everything you and your comic book are about in one central location. Promotions, announcements, series overviews, are all a part of what can fill out your portfolio and truly make it feel like a unique place to get information. Assuming you have a completed book with finalized dialogue, art, lettering, and design, the real work begins. In order to drive awareness of your creation you need to get out there and network. Anywhere you can be and get noticed is helpful. Of course going directly to the consumer is ideal, so places like comic book conventions and local art shows can really make the difference in the fanfare your book creates. Being a part of the creative community in your comic book or art scene is essential. From meeting potential collaborators to working with media outlets, consistently attending conventions and events can make the difference in your comic book career. Another big part of driving awareness is content. The more content you have the better. Everybody has one pitch, everybody has one story they want to tell. But what happens when you’re done publishing your first independent comic book? Are you just going to quit after all the hard work you put in? Of course not! With one book already under your belt you’re beginning to build quite the portfolio for yourself. The more content you have, the more potential fans you can gain. Let’s say your first comic book is a medieval fantasy story. Now that may not initially grab someone’s attention. But what if your next book is a space opera? Maybe the person that reads your space opera really loves your writing or art, so they are now much more inclined to go back and check out your other work. Now you’ve turned one sale into two. Congratulations! The bottom line is this; content is king! Here is where all of your hard work researching, creating, and marketing yourself and your book will really pay off. There are many different distribution channels you can choose from to self-publish your comic book. You can publish your own web comic on your own blog like many creators do now, even some of the top creators in other mediums are doing so. There are also public sites that you can use such as Tapastic or even Tumblr. These are great places to get your “feet wet” with publishing and have helpful and supportive communities. Another option is to use comic book focused digital platforms like Comixology and DriveThruComics. Sites like these have almost no barrier to entry and are very easy to use. There is also always the tried and true method of hand-selling your comic books at conventions. I can’t stress enough how important it is to attend conventions if you plan on approaching comic books the traditional way. Consistency is key and eventually your hard work will pay off. The downside here is cost. Printing costs alone can skyrocket and quickly eclipse any hope you have of a profit. Not to mention, the cost of a table at the convention, travel and lodging. And finally, there is the elephant in the room, Diamond Comics Distributors, the only nationwide distributor of comic books. The process can be grueling to enter, taking to account things discussed in this article and so much more. The difficulty for an independent book to even be noticed can be daunting. On top of the that, Diamond takes around 60% of the cut. The upside is that the distribution is immense. Every retail store in the country goes through Diamond’s Preview catalogue and as such, the retail stores become a very important part of the equation. Being supportive of retailers can truly go along way if you choose this route. In closing, there is a lot to take in to account before you even begin creating. From audience demographic to distribution; you’re in charge of getting your comic book created, marketed, and sold. 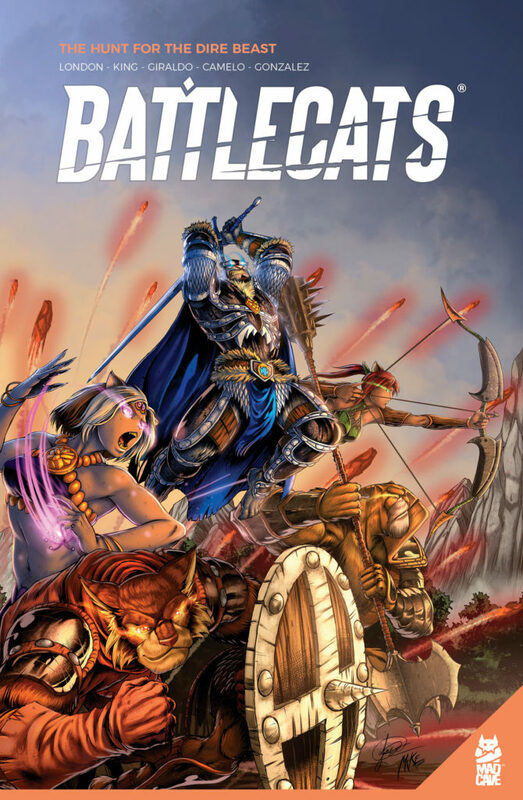 Creator and writer of Battlecats, Mark London’s life long obsession with film, comics, anime, and video games has led him down this path. He has been writing scripts for years and had dreams of making them a reality. 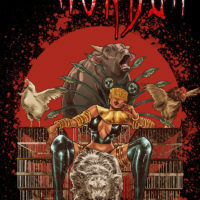 Mark London writes with one focus in mind: to provide a unique comic book experience through dynamic storytelling and epic world building. With Battlecats, he achieves just that.